Jackie Wong is the CEO of Temasek Trust, which is the philanthropic arm of Temasek, an Asia investment firm headquartered in Singapore. Previously a senior partner with leading executive search firm Egon Zehnder International, Jackie was the Asia Pacific leader of their Financial Services Practice as well as the Global leader of their Sovereign Wealth Funds Practice. In her earlier career she was an investment banker with Manufacturers Hanover Trust (now JP Morgan Chase) in Hong Kong and New York, and subsequently held senior executive positions with Hill and Knowlton and Whirlpool Corporation in Europe and Asia respectively. A graduate of Yale University, Jackie also attended the Harvard Business School’s Program for Management Development (PMD). Concurrent with her position as Temasek Trust’s CEO, Jackie is also the CEO and Executive Director of Temasek Management Services, a corporate services firm which is wholly owned by Temasek. 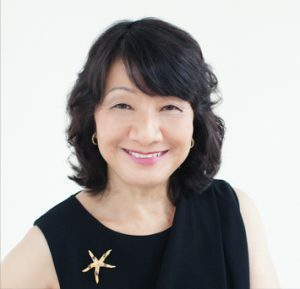 Jackie is a board member of both the IMD Foundation and Supervisory Boards, the Stewardship and Corporate Governance Center (SCGC), the Wealth Management Institute (WMI), the Lien Centre for Social Innovation, the Singapore Technologies Endowment Programme (STEP), and the Singapore Millennium Foundation (SMF). She is also a member of the International Advisory Council at the Stanford University Rock Center for Corporate Governance.